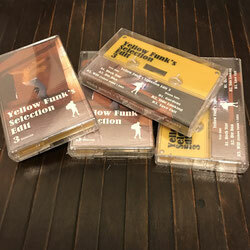 This is the 3rd bullet of Yellow Funk's re-edit series. It includes new 6 re-edited tracks by Yellow Funk in Tokyo. He re-edited Jazz, HipHop, House classics and Synthpop tunes to dance tracks.